A story is lifeless without a heart and soul and as its creator, the writer has to bring it to life. The writer is responsible for the birth of a story, its lifespan, and the everlasting emotional impact it must have on its audience. It all begins with the written word, and ends with an emotionally rewarding and fulfilling story that lives on in the minds of those who experience it. It is important for the writer to make the audience experience the story as a visceral and breathing organism. Every story has a life and it’s not simply you as a writer telling the story, but creating its vitality. Telling a story is simply dictating what happens. Creating a story, is breathing life into it, and giving it a heart and a soul. 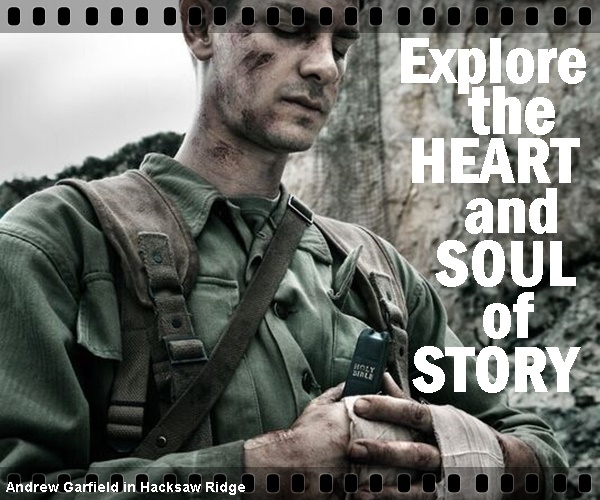 The heartbeat of your story is the plot, using rhythm, pace and tempo to create a dynamic emotional truth. Rhythm is the beat, the smallest structural point in your story; beats build scenes, scenes escalate into sequences, and sequences create acts. The tempo is the rate of the rhythm or how, fast the rhythm moves; an action scene is vastly different from a scene that requires a hushed dramatic intensity. Pacing: The various changes in tempo and rhythm that take place in story. The soul of your story is found in the inner mindscape, the inner life of the story, probing the thoughts, dreams and nightmares of your characters, illuminating their respective point of views – how they see the world. The blood pumping through your story is how you write it, the rich visual narrative that captivates and ultimately rewards with its stirring emotional impact. You know that your story is alive when the characters become real people and start to take on a life of their own in the fictional reality the writer creates, exploring, confronting and challenging their raw sexuality, lurid secrets, hostile aggression, passive serenity, flawed innocence, vulnerable dispositions, forbidden fears and illusive fantasies. A year after Tennessee Williams won the Pulitzer for his sell-out play A Streetcar Named Desire on Broadway, he was still rewriting the play. When asked about this, Williams replied that the character of Blanche was not strong enough to stand on her own two feet and that he as its creator was still holding her hand. Once you have given your story a heart and a soul, it is equally important for the writer to know what’s at the heart of the story, being fully in control of the focus point of the protagonist’s existence, and the axel around which everything in the story revolves around. Film magnifies a story 10 times and becomes larger than real life. Therefore, the focus point of your story needs to be clear and not muddled or diluted by the intricate plot and subplots, amplifying the writer’s thematic purpose. At the heart of a murder mystery you will find a romance. At the heart of a romance you will discover the tragedy of abuse. At the heart of horror you will unveil the beauty of life. At the heart of death you will find the vitality of being alive. It is through your story that the writer allows the audience to feel what’s happening and establishes a bond between writer and viewer. Only when the action on the screen and the reaction in your mind are united as one, “film” is taking place. Stories change the way we see the world and writers have to initiate and inspire this transformative experience. Our The Write Journey course looks at how you can fully explore and develop the heart and soul of your story.